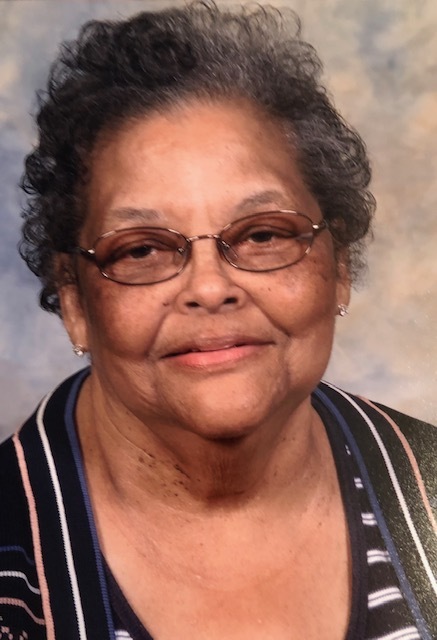 Obituary for Marian Arlene (Smith) Briggs | McCoy-Moore Funeral Home Inc.
Marian Arlene Briggs, 86, Bidwell, Ohio passed away Sunday, January 27, 2019 in Holzer Medical Center, Gallipolis, Ohio. She was born October 14, 1932 in Evergreen, Ohio, daughter of the late Oscar and Katherine (Hill) Smith. She was a member of the Corinth Missionary Baptist Church, Centerpoint, Ohio. Marian is survived by her children: Arlene (Lionel) Todd, Columbus, Ohio; Wanda Maldonado, Gallipolis, Ohio; Dayton (Frankie) Briggs, Florida and Marsha (Brownie) Wilson, Gallipolis, Ohio; grandchildren: Tymaine Botts, Khyra Botts, Nakita (Terry) Barcus, Denise Madriz, Chisa Briggs, Chona Briggs, Lito Briggs, Deidre Wilson and Derek (Vanessa) Wilson and ten great-grandchildren; brother, Herbert (Gwen) Smith, Canal Winchester, Ohio and sister, Erma Hogan, Gallipolis, Ohio and a host of nieces, nephews and extended family members. In addition to her parents, she was preceded in death by her husband, Dayton Leroy Briggs May 21, 2011; infant daughter, Paula Jane Briggs; brothers: Donald, Paul, Harold and Clyde Smith and sisters: Margaret Figgins, Catherine Smith-Chaney and Carol Jean Borden. Funeral services will be conducted 1:00 PM Friday, February 1, 2019 in the McCoy-Moore Funeral Home, Wetherholt Chapel, Gallipolis, Ohio with Rev. Calvin Minnis and Rev. Herbert Smith officiating. Burial will follow in the Corinth Missionary Baptist Church Cemetery, Centerpoint, Ohio. Friends and family may call at the funeral home 11:00 AM to the time of service. Online registry is available via www.mccoymoore.